The director of The Man From Earth and The Man From Earth: Holocene has done a complete 180 on the benefits of movie piracy. In 2007, the first movie soared in popularity due to word-of-mouth marketing by BitTorrent users so the sequel was put up on torrents by its makers early this year. Now, however, pirates apparently pose an “existential threat” to all creators. With a backdrop of Hollywood waging war on pirates and pirate sites, 2007 delivered a ray of light for BitTorrent users and filmmakers alike. 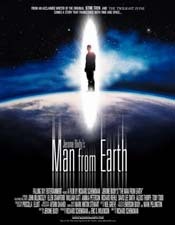 After being produced on a tiny budget, an almost unknown independent sci-fi film called “The Man From Earth” appeared on pirate sites after someone obtained a promotional screener and uploaded it to the Internet, weeks before its official release. While this type of development is often labeled as disastrous by movie executives, The Man From Earth director Richard Schenkman was very upbeat indeed. “A week or two before the DVD’s ‘street date’, we jumped 11,000% on the IMDb ‘Moviemeter’ and we were shocked,” Schenkman told TorrentFreak at the time. Piracy had been labeled as a great promotional vehicle before but the team behind the movie really embraced it, with producer Eric Wilkinson writing to the operators of RLSlog, a once-popular piracy links site – to thank them for their support. “Our independent movie had next to no advertising budget and very little going for it until somebody ripped one of the DVD screeners and put the movie online for all to download,” Wilkinson said. The Man From Earth went on to win multiple awards and did really well on Netflix, so it was a nice development when the movie’s sequel – The Man from Earth: Holocene – appeared on The Pirate Bay upon release earlier this year. This time, however, the team had decided to ‘leak’ the movie themselves, hoping to follow the success of the original more than ten years earlier. “It was going to get uploaded regardless of what we did or didn’t do, and we figured that as long as this was inevitable, we would do the uploading ourselves and explain why we were doing it,” Schenkman told TF. The team hoped that pirates would flock to the movie’s ‘tip jar’ while using word-of-mouth advertising to ensure that the sequel did as well as the original. When speaking to TF in January 2018, Schenkman was really upbeat and enthusiastic but somewhere on the way, something went wrong – very wrong indeed. In a new piece published by pro-industry, anti-piracy alliance Creative Future, Schenkman rips into pirates big and small. While noting that the sci-fi sequel has been downloaded almost a million times with uncounted streaming views on top, just 7,000 people supported it with donations. “If each one of the illegal downloaders (to say nothing of the streamers) had donated just one dollar, we would have already broken even on Holocene and been well on the road toward making our next film. Alas, most people aren’t willing – or able – to pay even that much,” Schenkman says. But while individual pirates didn’t dig as deeply as Schenkman would’ve liked, he says his venture also fell victim to commercially motivated pirates who took his movie, hired actors, and had it professionally dubbed in Russian – all without permission. “[I] learned through this experiment that there are people who don’t merely pirate a film, but who are willing to take full advantage of producers like us – who, remember, are offering our movie for free – for their own profit,” he explains. Schenkman says he wrote to Green Ray’s operators, suggesting that in the absence of them leaving the donation elements intact, a revenue-sharing arrangement might be in order. To date, the site has not offered a response. While it could be argued that Green Ray’s adaption of The Man from Earth: Holocene ensured the movie could be enjoyed by a new audience, the commercial exploitation of the movie in this manner is extremely blatant, to say the least, so it’s hardly a surprise that Schenkman is disappointed. “Clearly, there is an audience in Russia who cares about seeing a high-quality version of our movie. Perhaps this same audience would have even been willing to pay the actual filmmakers behind the movie to watch it. Now, we will never know,” he says. Despite his early love affair with pirates (which appeared to still exist early this year), the director now finds himself singing the same anti-piracy tune as the majority of film creators around him. Movies aren’t free to make, he points out, so people need to understand they can’t be free to watch either. “The lion’s share of films that get released aren’t studio blockbusters, but super low-budget projects from independent filmmakers who struggled just to get their films produced in the first place – and who are very lucky if they break even on them,” he says. Of course, it’s difficult for Schenkman to deny that the original movie benefited greatly from pirates and that his team believed that the sequel could follow in its footsteps. But now, barely 10 months on, he’s done a complete 180, noting that if there’s no financial support for the people who make them, movies like his won’t be made. “We need to educate our audience to understand that we are the same as them: working people who love cinema. Piracy poses an existential threat to all of us,” he concludes. Update: TorrentFreak has just received detailed responses to a number of questions we put to Richard Schenkman. Interestingly, there’s more to this story than the Creative Future piece indicates and Schenkman isn’t as down on pirates as the text suggests. We’ll follow this up and publish an interview later this week.